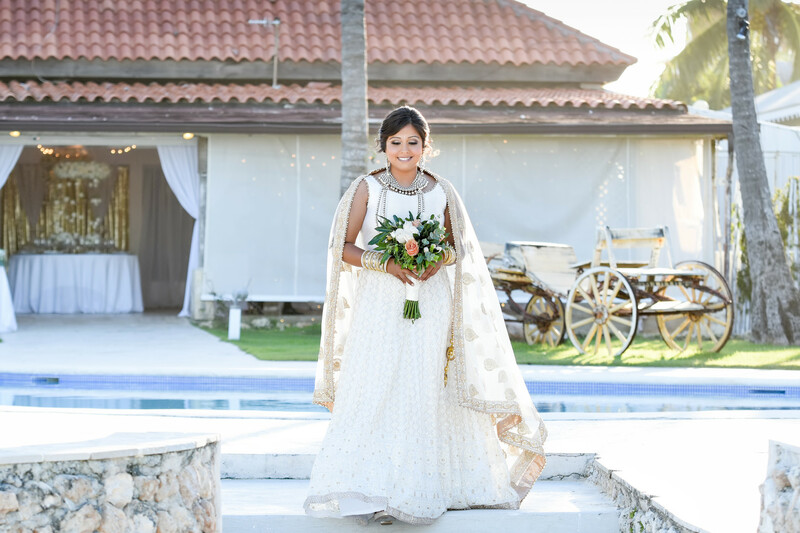 Please meet today’s sweet bride Rovina! 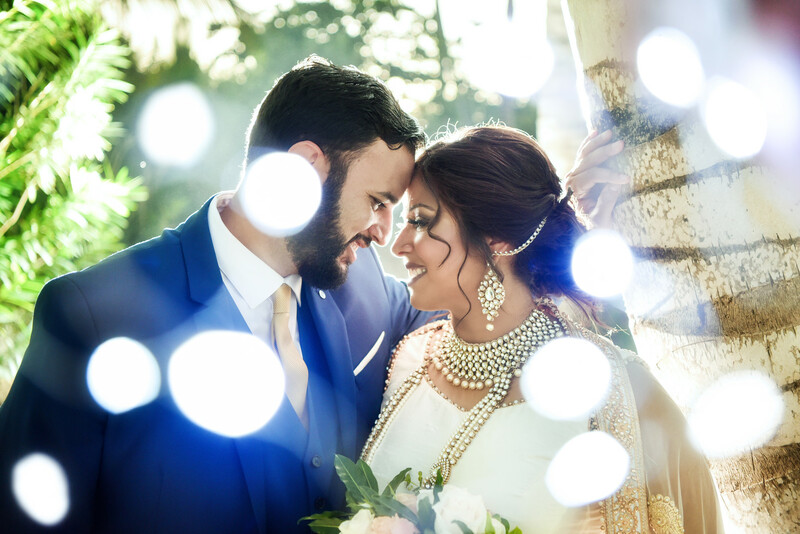 You’re not going to believe your eyes when you see these divine photographs of Rovina and Aaron captured by Milan Photo Cine Art. 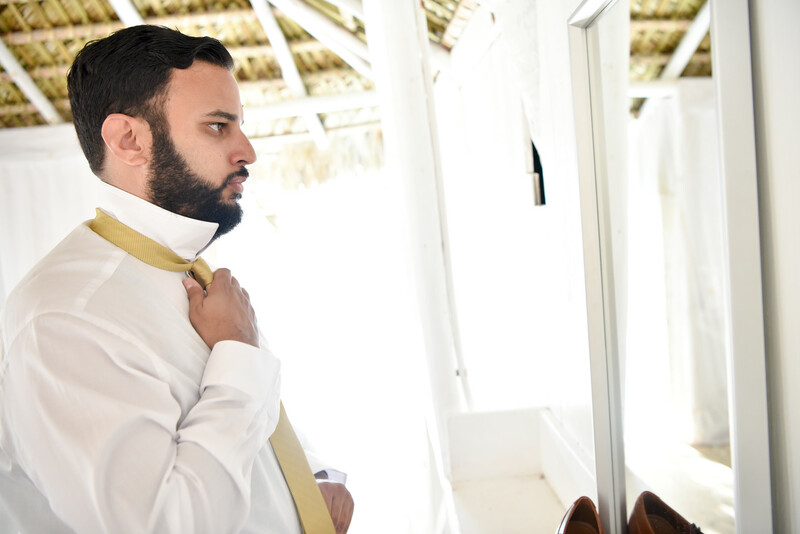 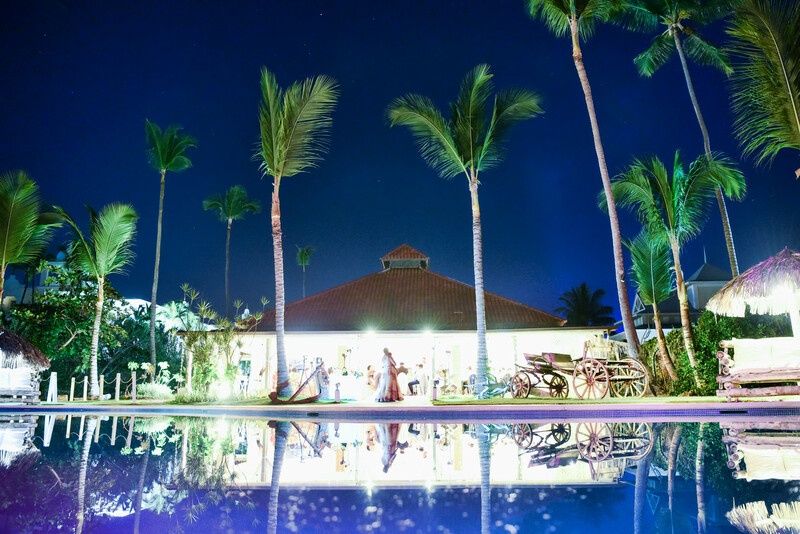 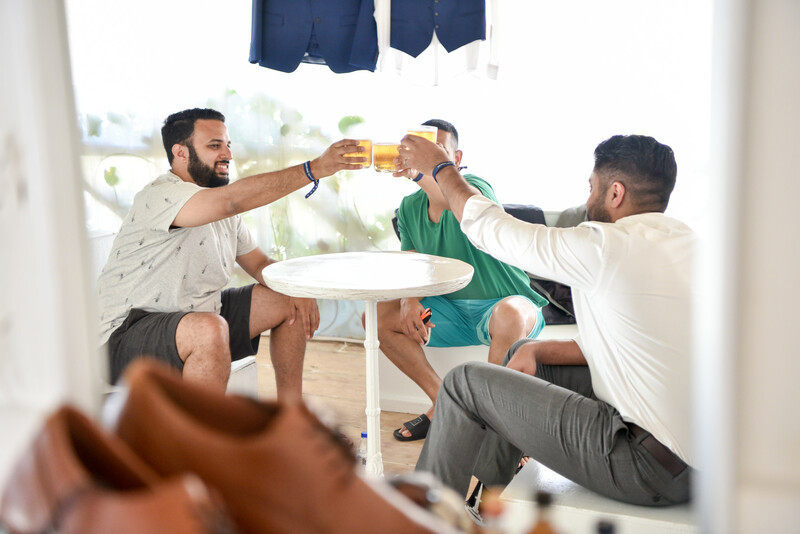 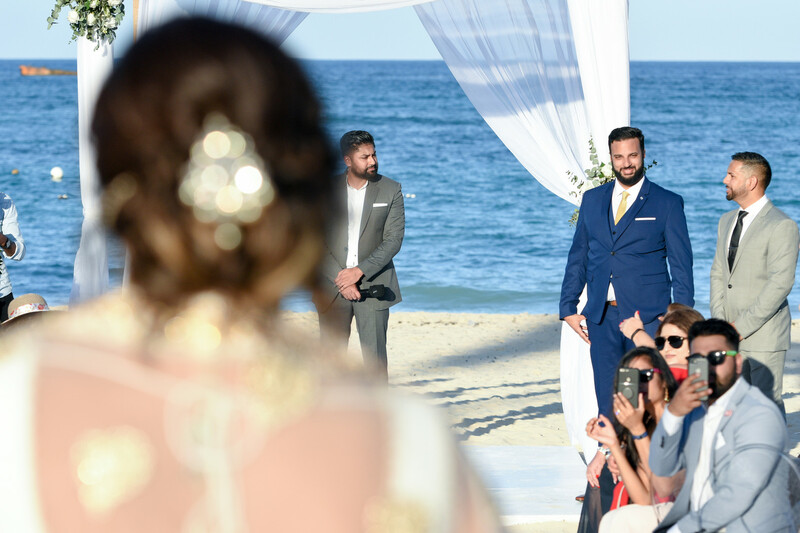 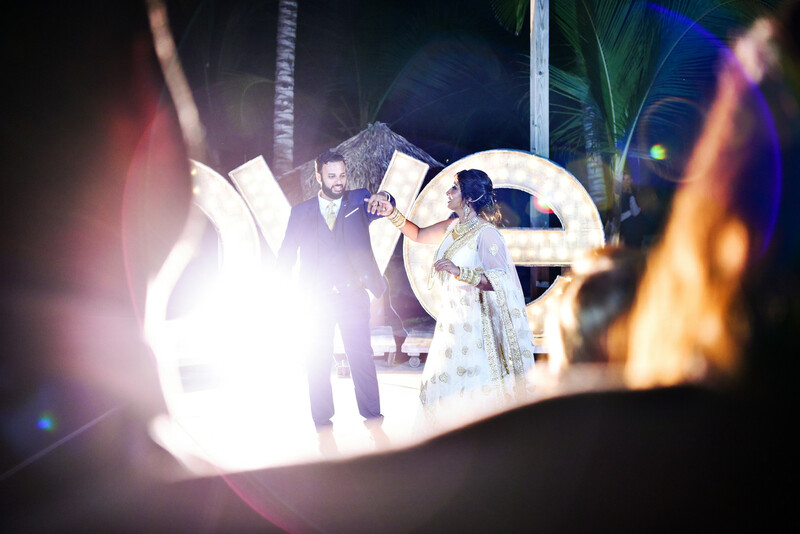 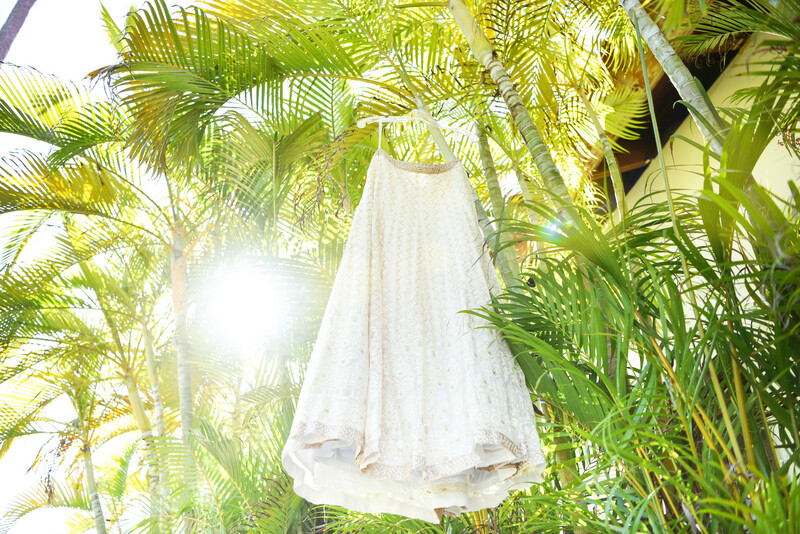 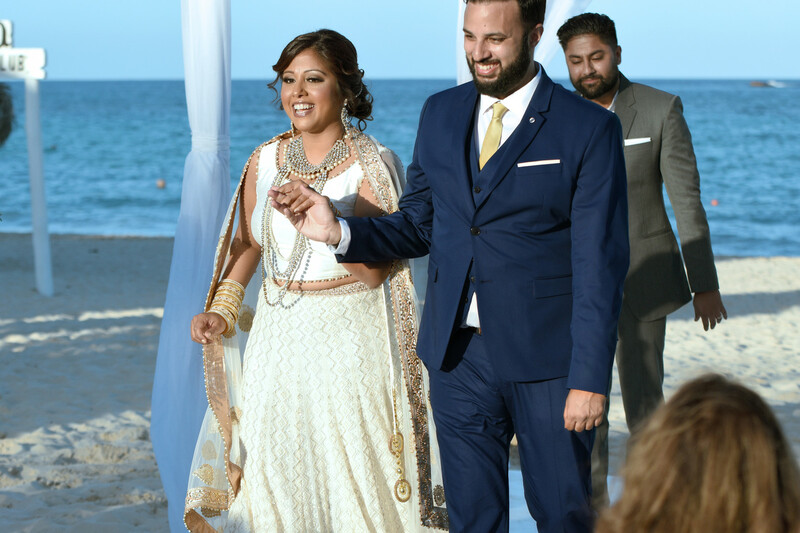 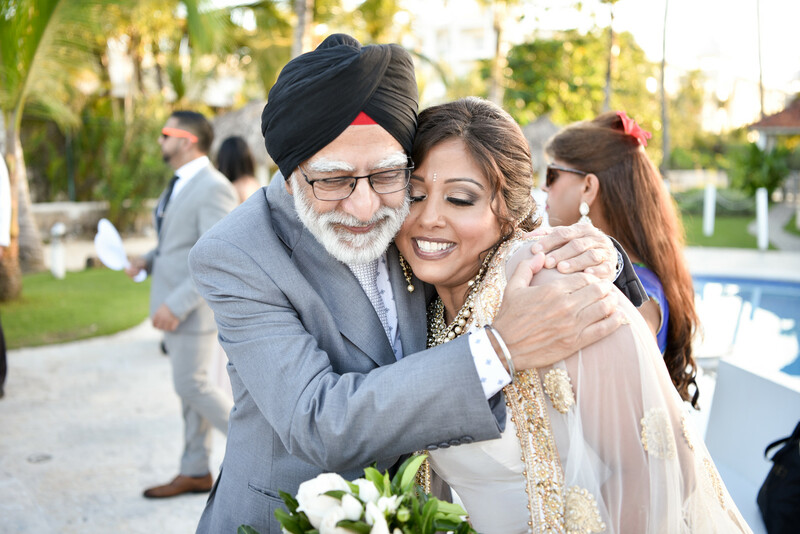 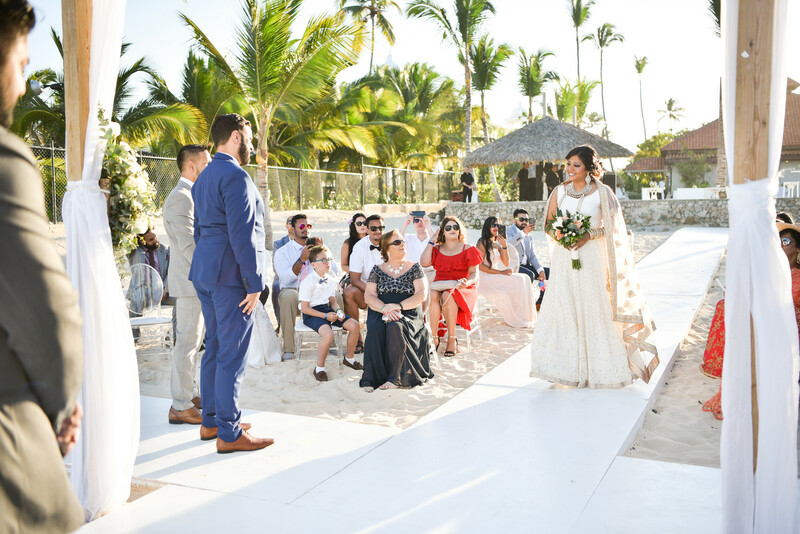 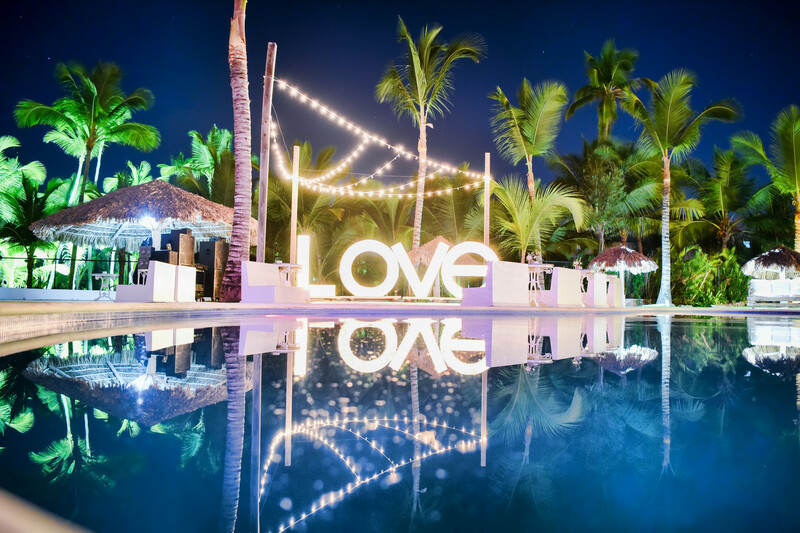 Every detail was executed perfectly, and with a soft colour palette of white, gold and bronze, this destination wedding in Punta Cana is one that all of you destination brides to be will love dearly. 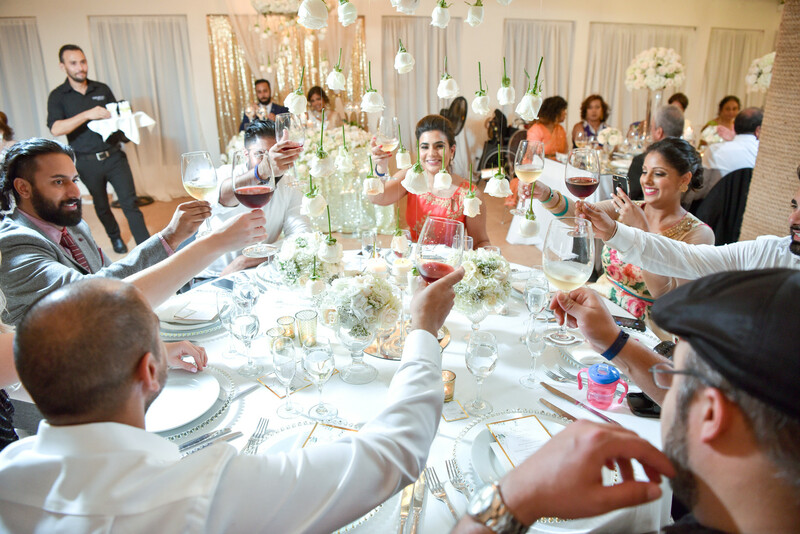 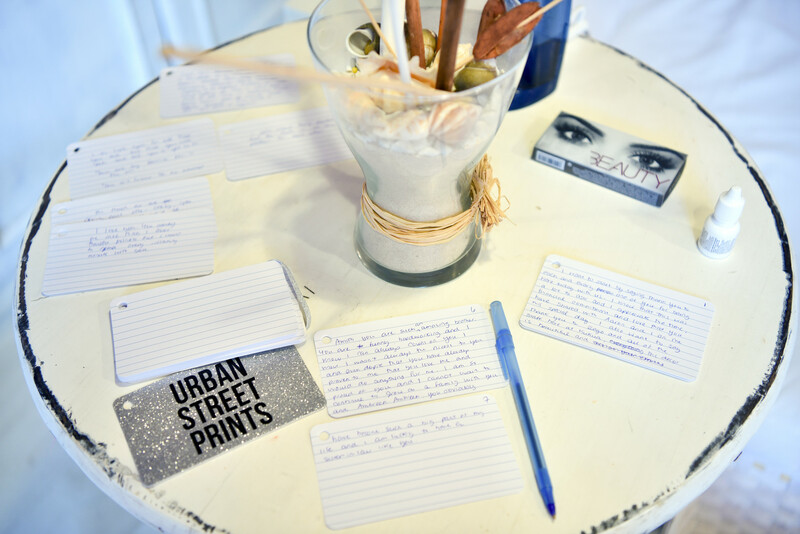 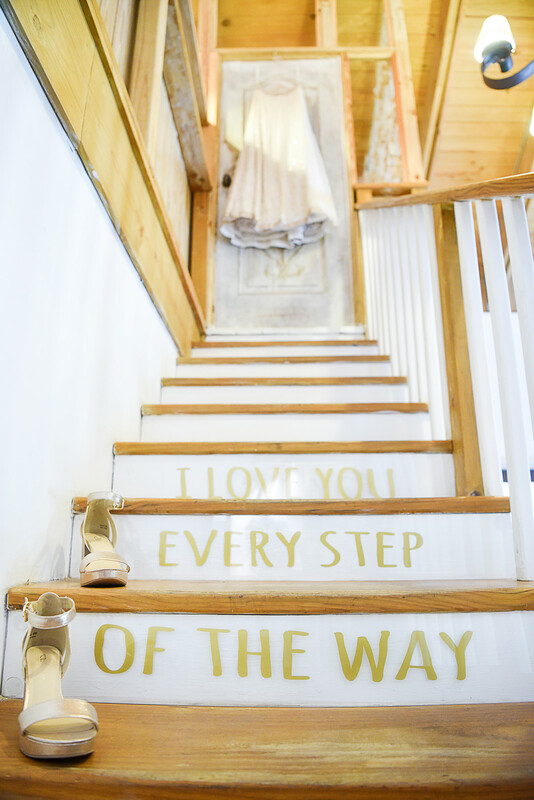 Keep reading for more sweet details and fun memories from Rovina and Aaron’s special day! 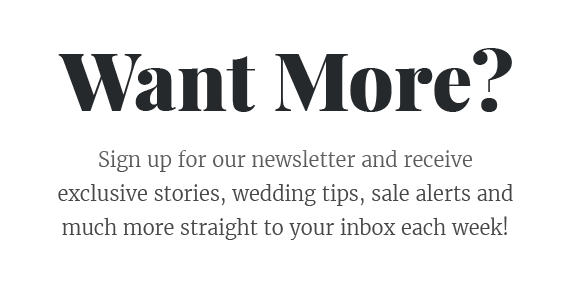 “We (as in mostly me!) 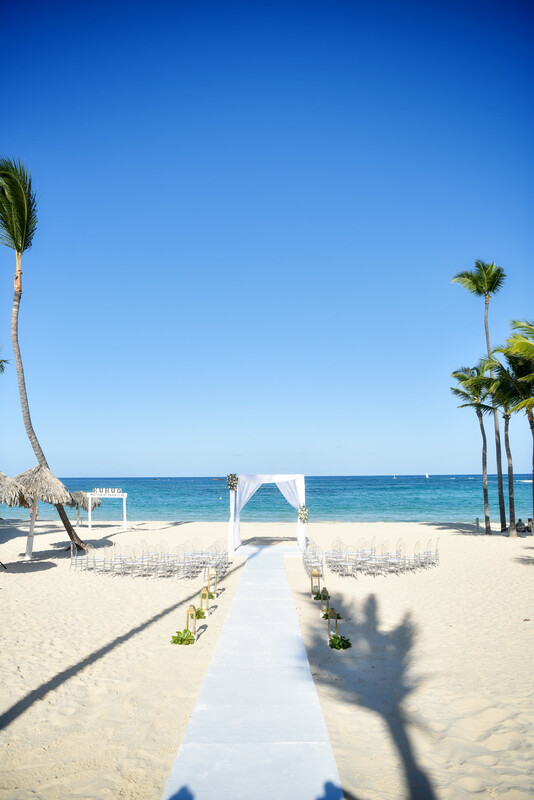 wanted a romantic setting on the beach with lots of fun and partying for later in the night. 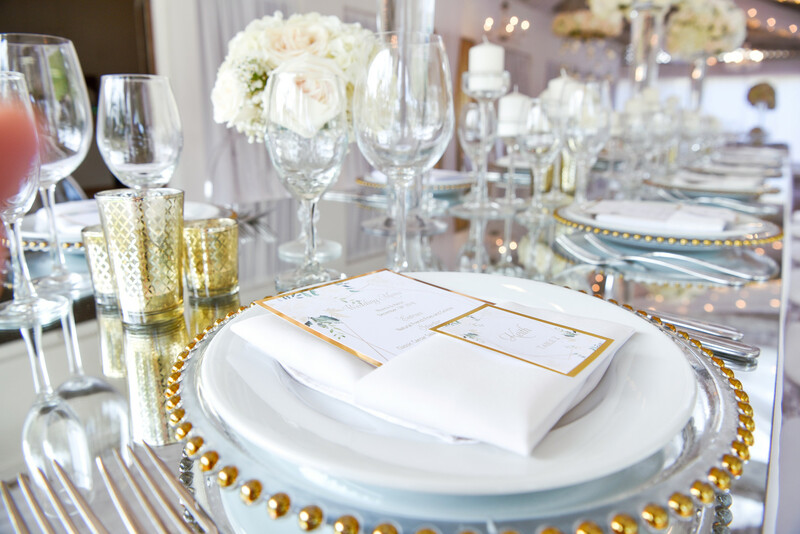 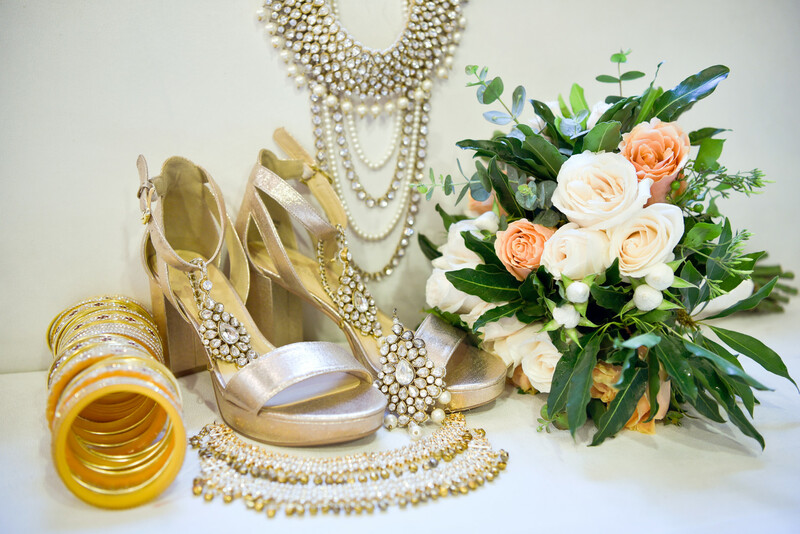 We wanted to keep our colour palette simple and elegant and chose whites and tones of gold and bronze. 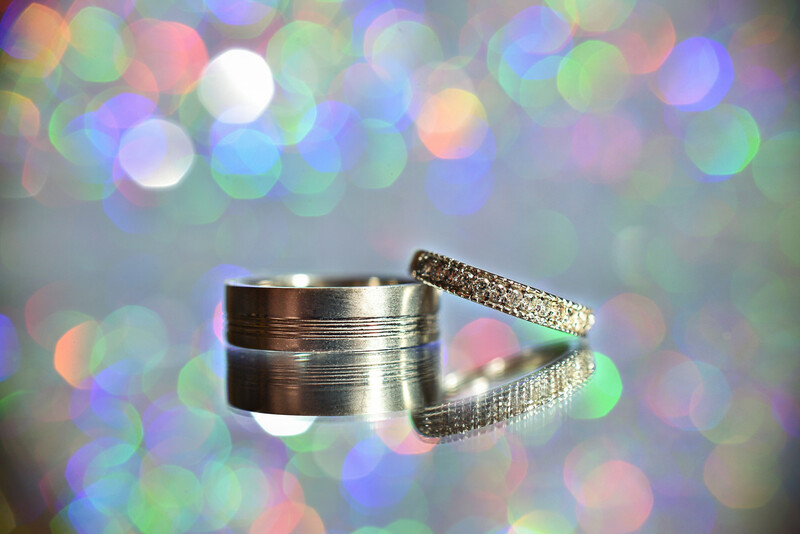 We had a symbolic ceremony of saying our vows and exchanging our rings” says Rovina. 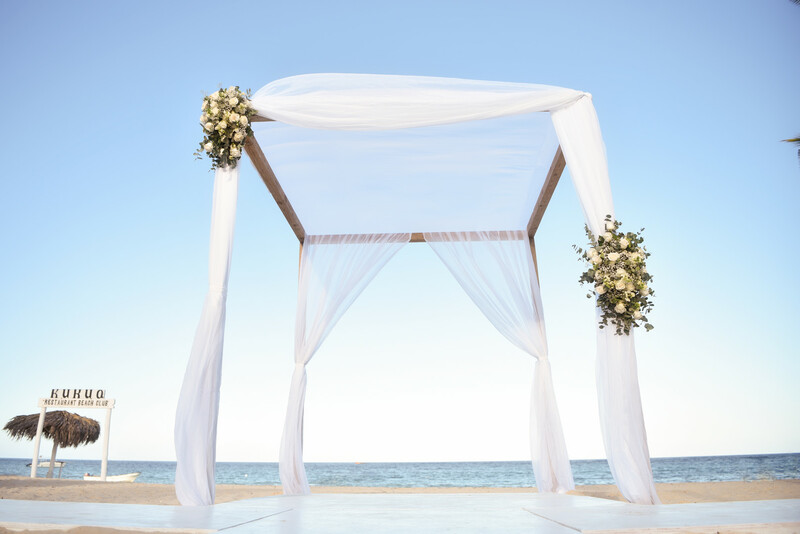 “Again, our wedding setting did everything for us. 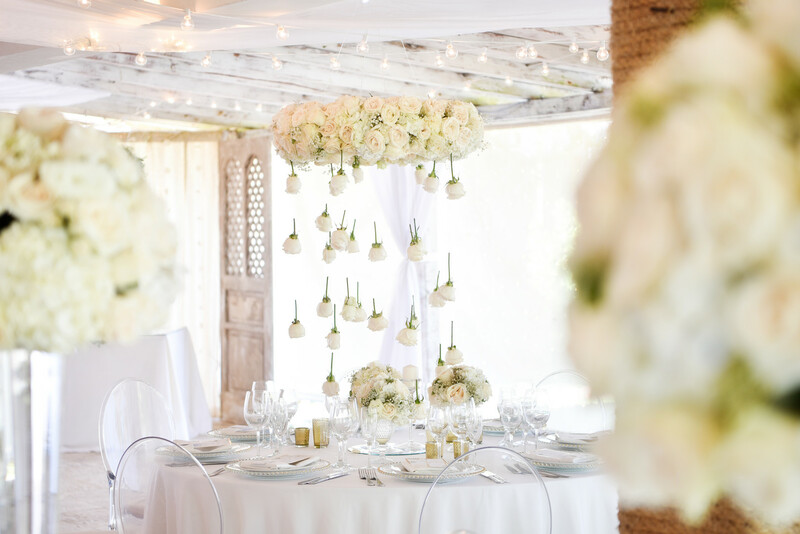 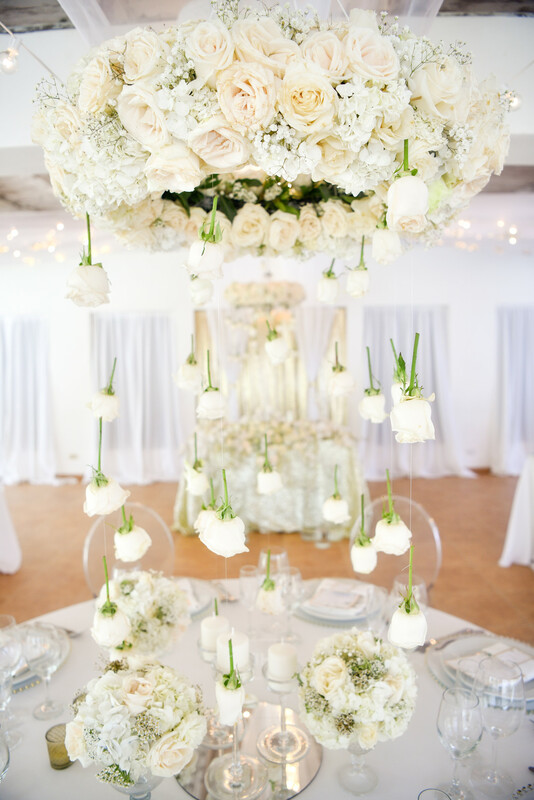 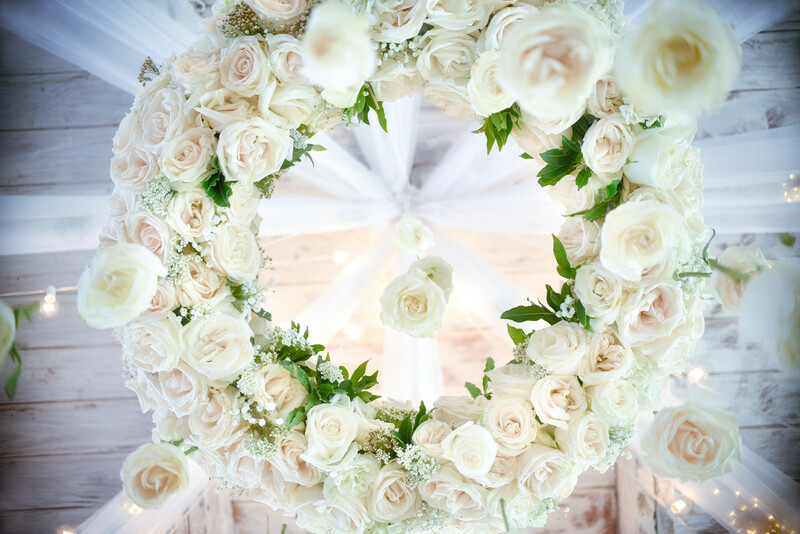 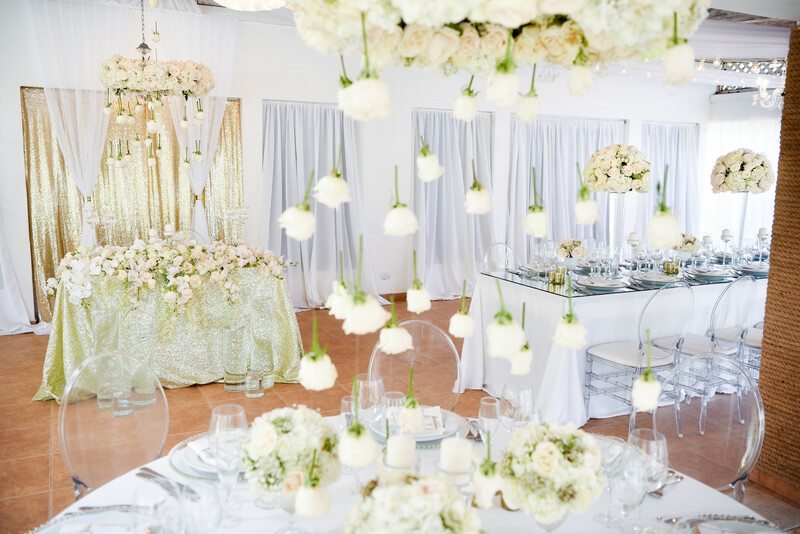 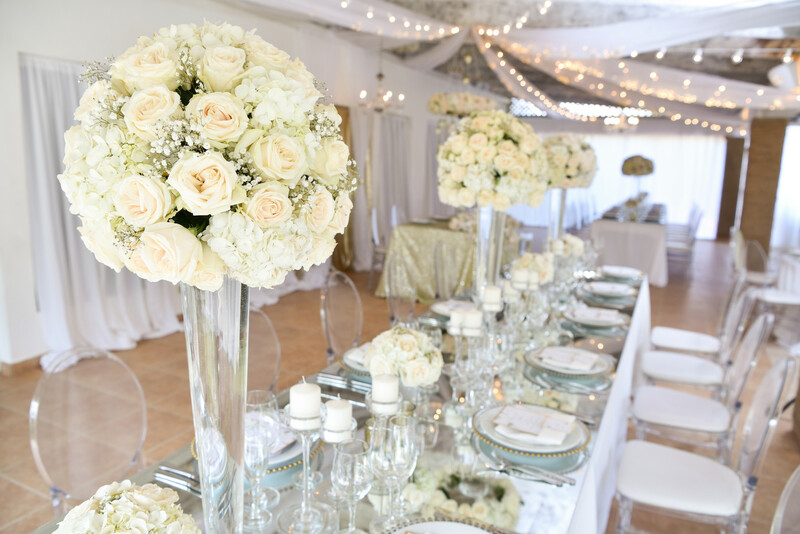 This included beautiful floral arrangements hanging from the ceiling with roses hanging which resulted in a beautiful romantic setting” mentions Rovina. 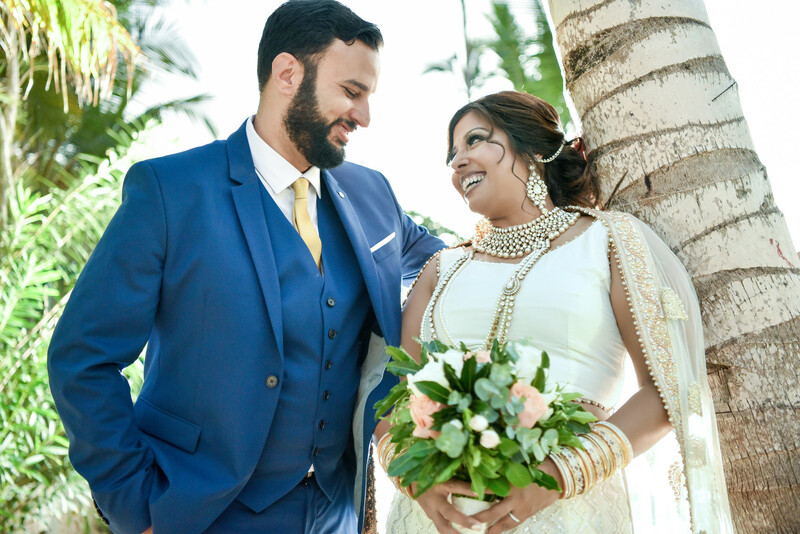 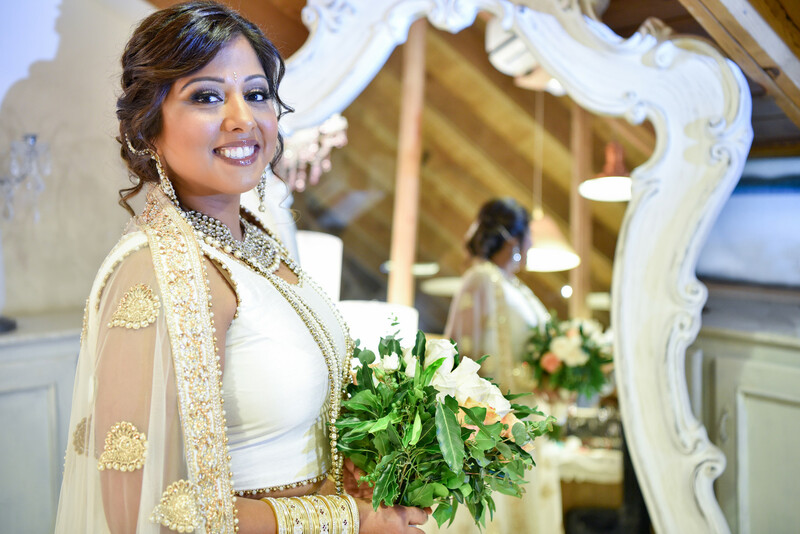 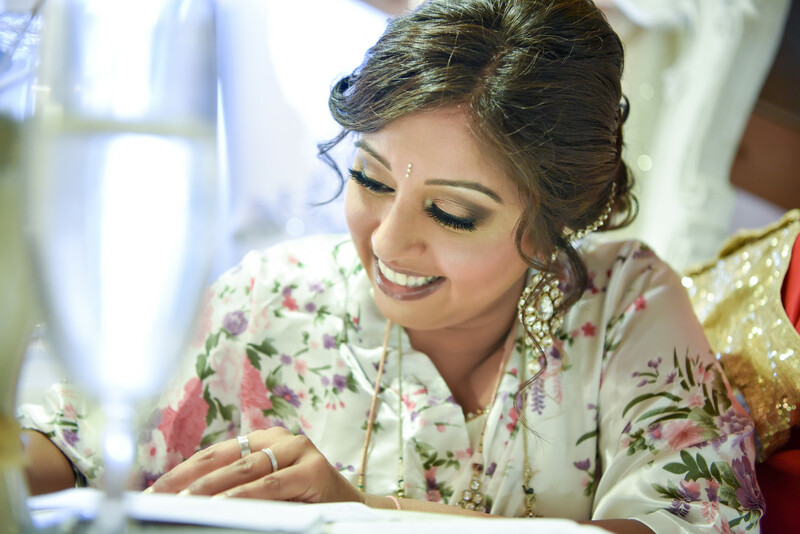 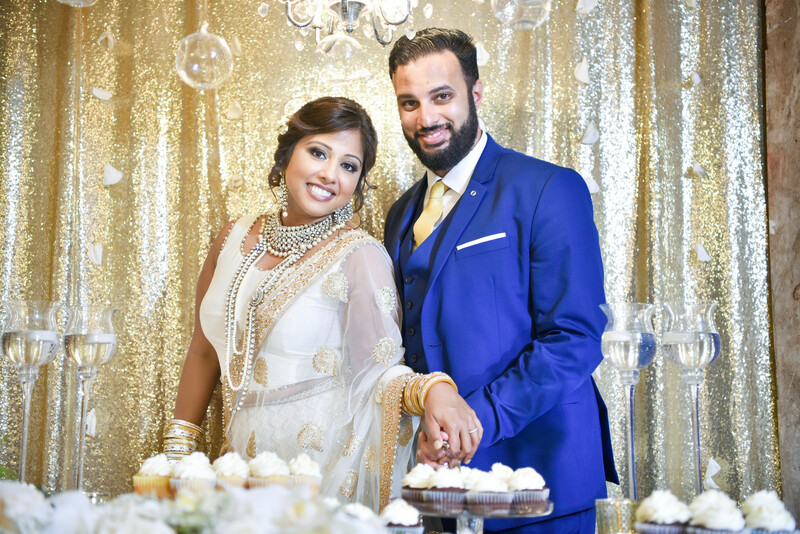 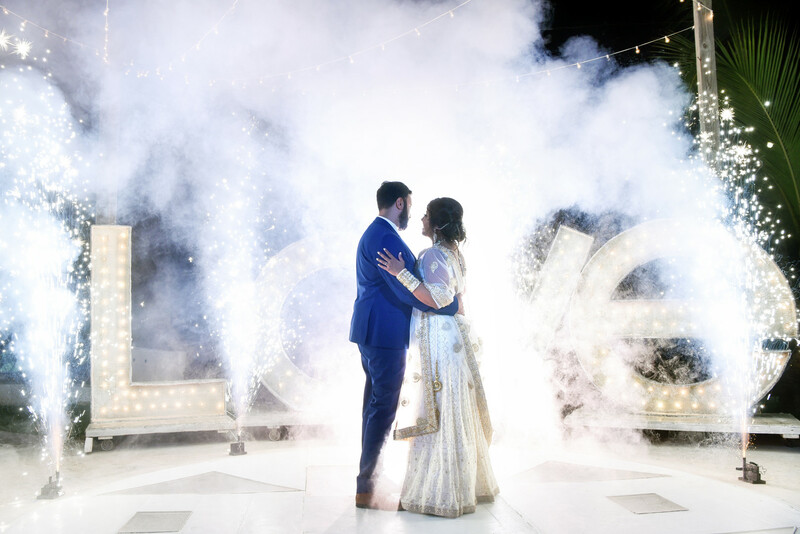 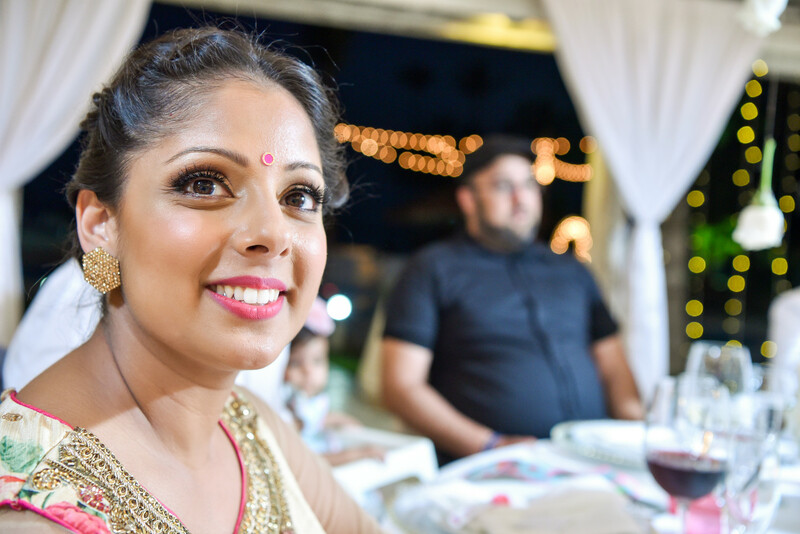 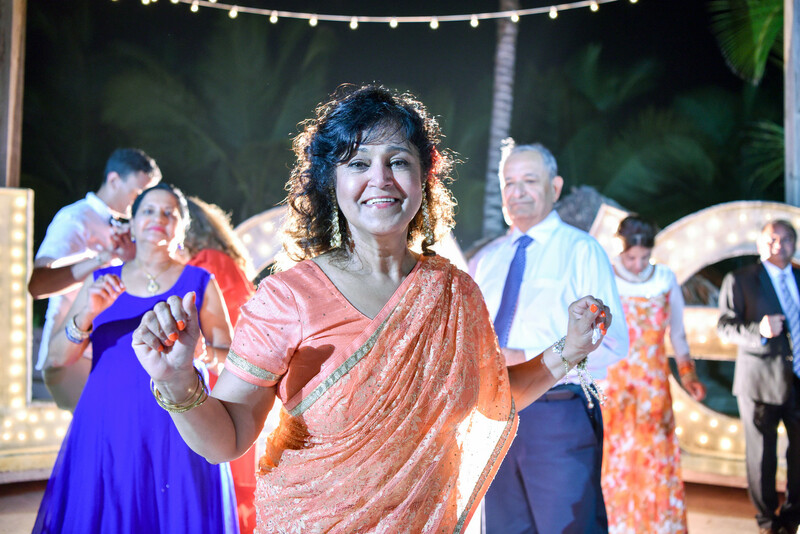 “The most special moment was definitely when we exchanged our vows and our speeches during the reception” says Rovina. 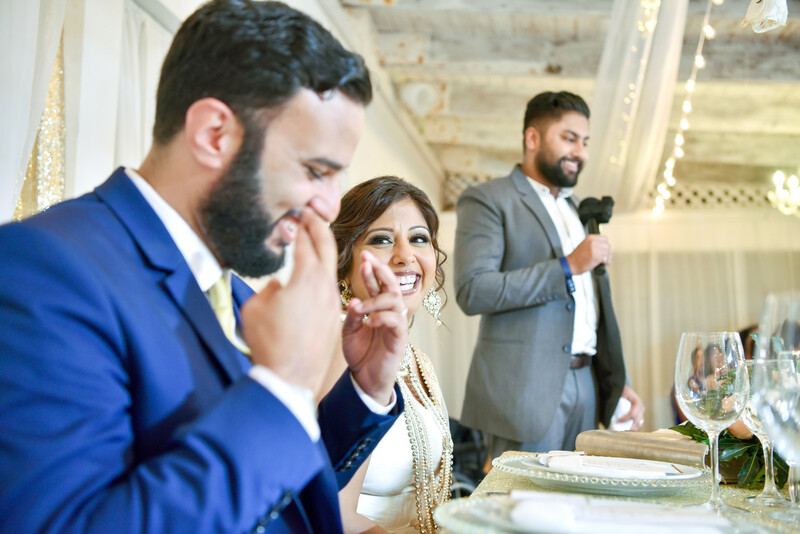 ANY ADVICE FOR NEWLY-ENGAGED COUPLES? 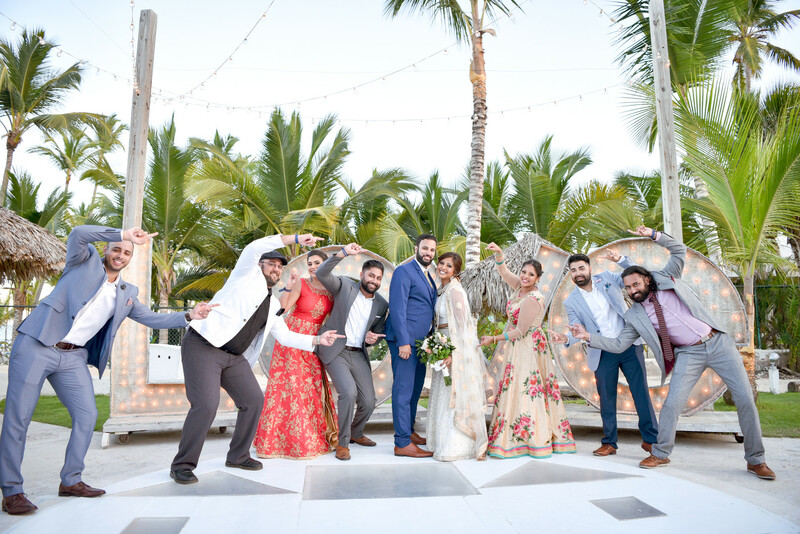 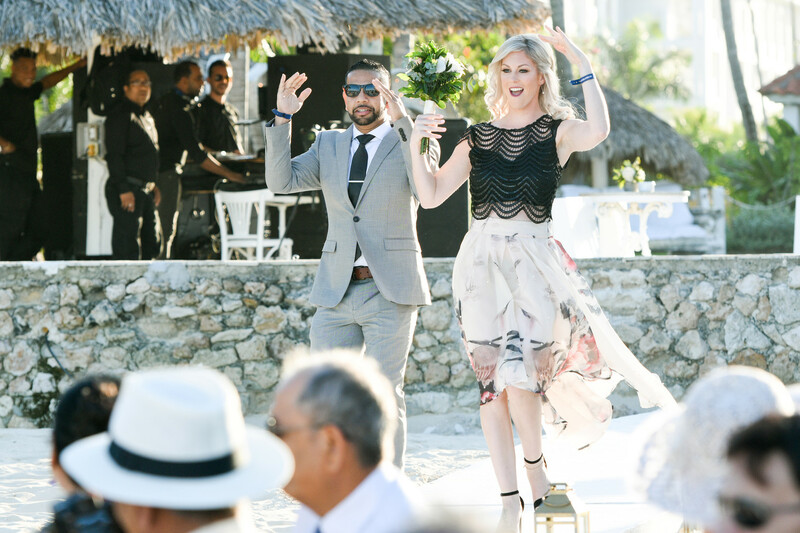 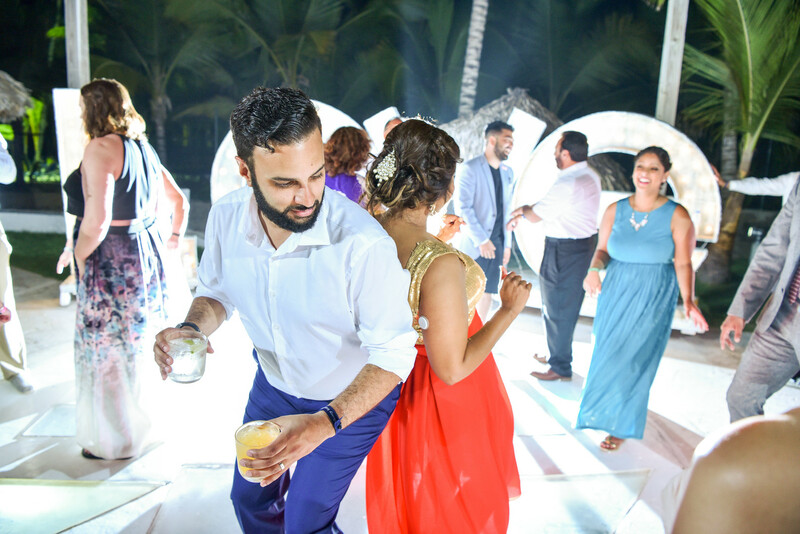 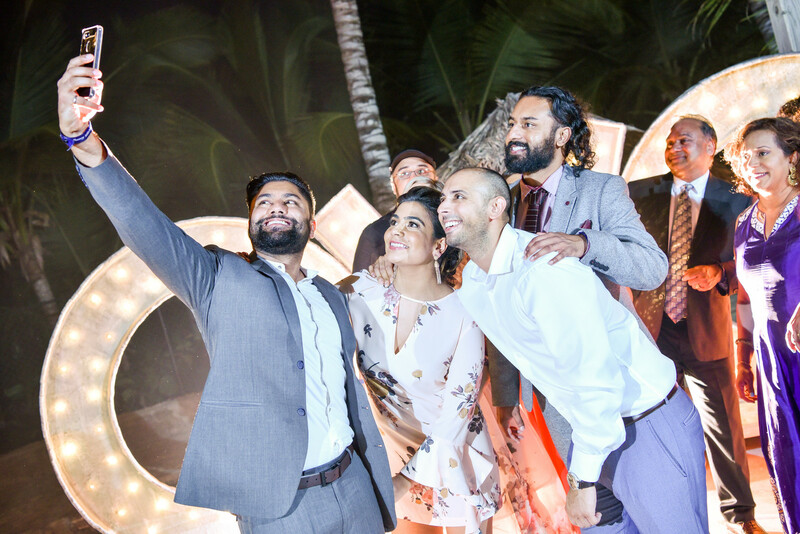 Thank you so much to Rovina, Aaron and Milan Photo Cine Art for sharing this lovely destination wedding from Punta Cana with us!